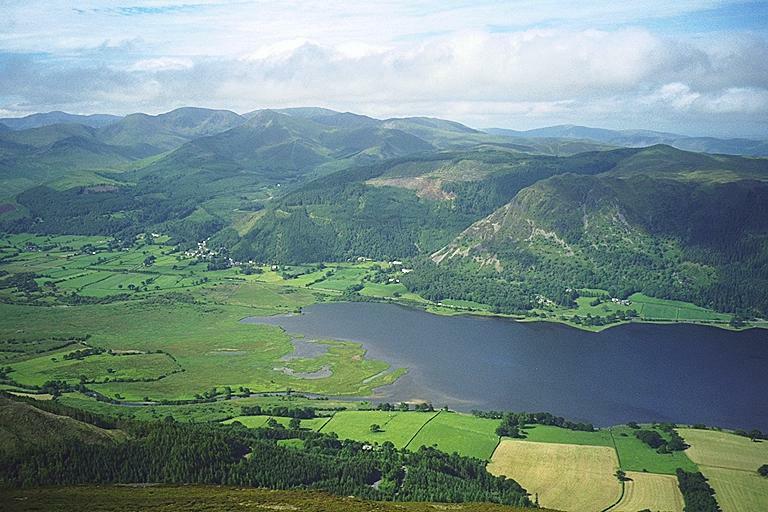 Across Bassenthwaite lies the hamlet of Powter How with Lord's Seat to the right. On the horizon, from the left are Pillar, beyond Scar Crags; High Stile; Sail; Eel Crag; Grasmoor, beyond and between Grisedale Pike and Hopegill Head; Whiteside, Gavel Fell; Blake Fell and Burnbank Fell. Smaller version of this picture.